Kids Activity Center Just $31.99! Down From $55! Shipped! You are here: Home / Great Deals / Amazon Deals / Kids Activity Center Just $31.99! Down From $55! Shipped! At Amazon, you can get this Kids Activity Center for just $31.99 down from $54.99 PLUS FREE shipping! Time to get crafty. 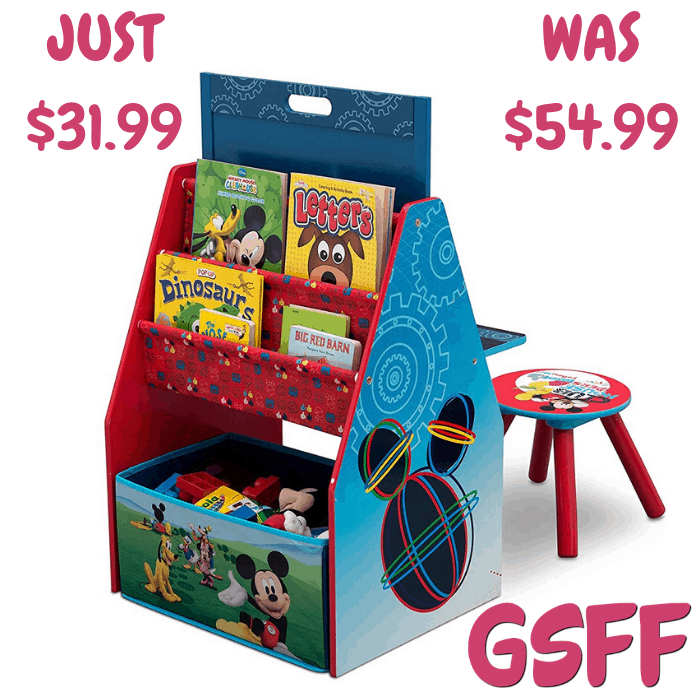 Designed to help your little one express their creative side, the Disney Mickey Mouse Activity Center from Delta Children provides the space and storage your budding artist needs. The 3-in-1 design features a magnetic dry-erase board that can be positioned for your child to sit and draw with markers, or stowed upright to reveal a spacious tabletop to complete craft projects. On the other side of the easel a fabric toy bin and two tiers of storage pockets offers convenient compartments for art supplies, toys and books. Adorned with colorful graphics of Mickey and friends, this Activity Center makes everyday endeavors more inspiring.